Sweet, spicy and salty maple-sriracha roasted cauliflower; the perfect side dish Yum! This maple sriracha roasted cauliflower is my current favourite side dish! 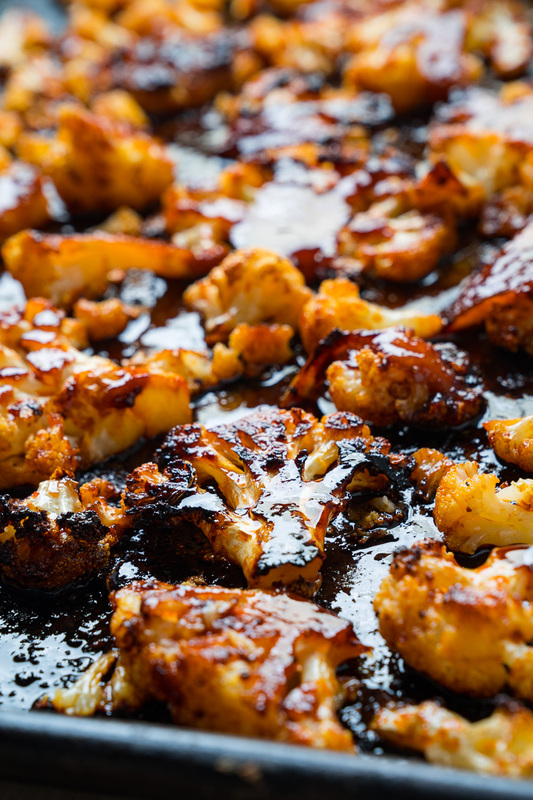 I am a big fan of maple syrup and sriracha (chili sauce) and it’s the perfect sauce for crispy-tender roasted cauliflower! This side dish is as easy as cutting a head of cauliflower into bite sized florets, tossing in the maple-sriracha sauce and roasting before tossing it with the remaining sauce just before serving. 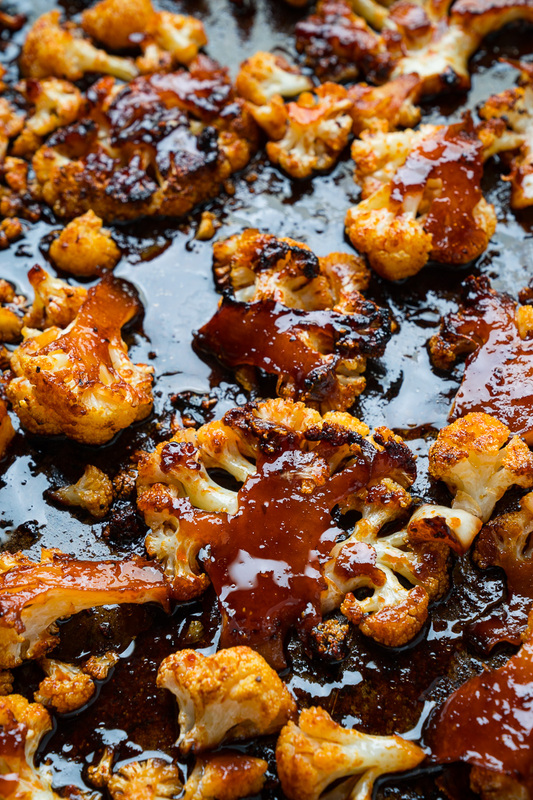 As the cauliflower roasts the sauce caramelizes on the edges of the cauliflower magically transforming and infusing the flavour into the cauliflower! Sweet, spicy and salty roasted cauliflower! Yum! 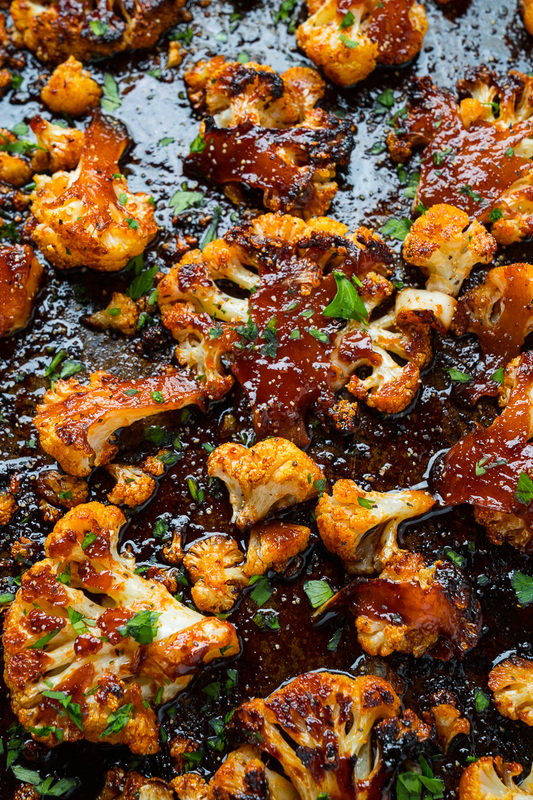 Toss the cauliflower in the mixture of the oil, maple syrup, sriracha and soy sauce, arrange in a single layer on a baking sheet and roast in a preheated 400F/200C oven until lightly golden brown, about 20-30 minutes, reserving the excess maple sriracha sauce. 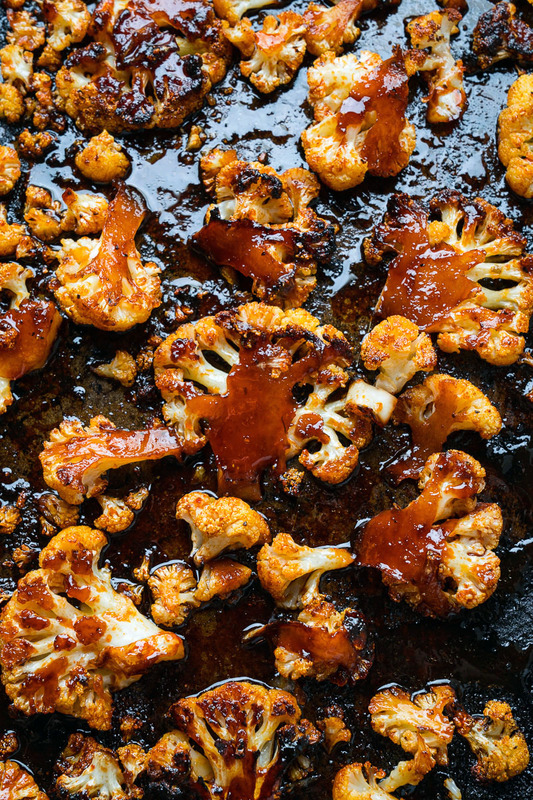 Toss the roasted cauliflower in the reserves maple sriracha sauce and enjoy! Option: Garnish with chopped cilantro! Note: Use gluten-free soy sauce for gluten-free. I’m not a maple fan. Do you think this would work with honey instead? Honey s amazing instead of maple syrup! This was delicious!! A bit spicy for my kiddos, but I’m thinking I’ll do half the sriracha on their portion next time. It was a hit with my husband too! Definitely adding this to our list of sides we use frequently. Thank you!